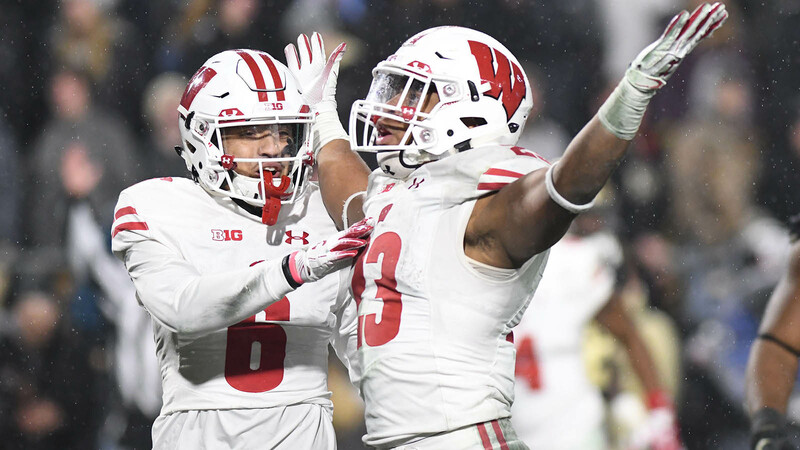 Coming into the season it was obvious that Wisconsin‘s secondary was one of the team’s question marks. 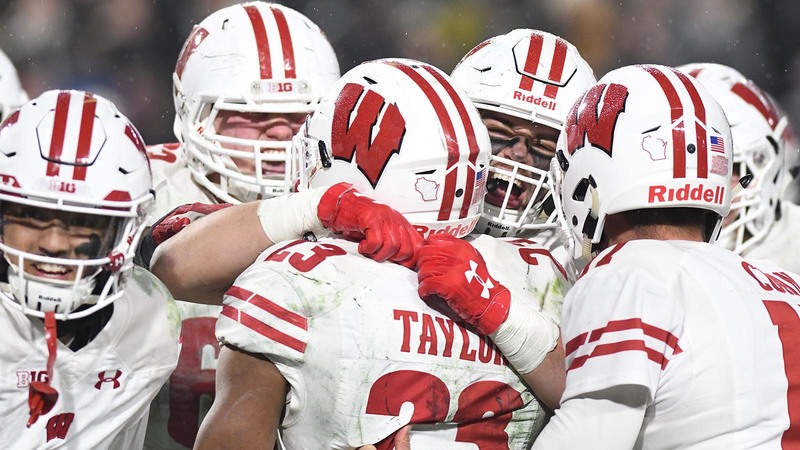 While senior safety D’Cota Dixon was returning, the group expected to play the other three spots (or four, when the Badgers go to a nickel defense) was quite inexperienced. That inexperience has showed up in 2018, but so has the talent. Purdue went after true freshman cornerback Rachad Wildgoose, who has started the last six games, and he was called for two pass interference penalties and made a poor play defensively on a Boilermakers touchdown letting a receiver easily get by him. But he also had four tackles and two passes broken up. Wildgoose is tied for the team lead with five PBU. He also leads the team in penalties with seven (four holding, three pass interference). A pair of redshirt freshmen have seen a lot of time — and starts — at corner as well. Faion Hicks has played in 10 games and Deron Harrell nine. Hicks had six tackles against Purdue — his second straight game with that amount — and leads all Wisconsin cornerbacks with 30 tackles, and also has three PBU and interception. He also has committed four penalties, three for pass interference. Harrell has been somewhat limited due to injuries this season and has nine tackles and two PBU, including one against Purdue. He’s the only cornerback with significant playing time not yet to have been flagged for a penalty. Sophomore Madison Cone has played in all 11 games and often as a nickel corner. He had 18 tackles, two interceptions and a PBU. He picked up his first penalty against Purdue (for unsportsmanlike conduct). Travian Blaylock (four games), Donte Burton (three games) and Alexander Smith (three games) have aso seen time at corner. At safety, redshirt freshman Scott Nelson has been the starter since Day 1 — when healthy, which has hasn’t been often lately. He’s played in seven games but has 30 tackles, five PBU, 1.5 tackles for loss, an interception and forced fumble. He also has a pass interference penalty and personal foul (targeting, for which he was ejected). Freshman Reggie Pearson has only played in three games — meaning he can play in one more and still redshirt — but has shown himself to be a big hitter. 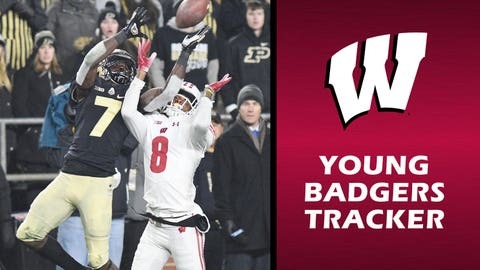 Overall this season, opposing quarterbacks have a 125.68 passer rating (Wisconsin QBs have a 128.46), but are allowing 207.82 yards per game and have committed nine pass interference penalties (the secondary has also been flagged for five holding penalties). It’s the good with the bad. It’s all part of what should be expected from a young secondary, but at the same point hopeful that getting experience now will mean a strong unit for years to come. 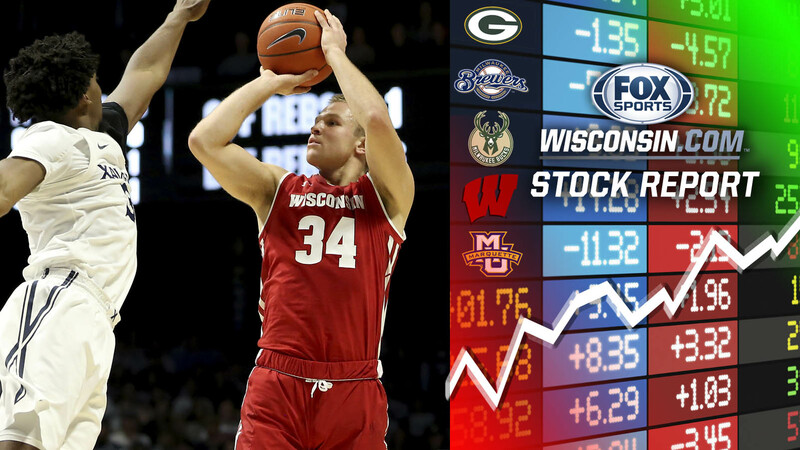 Here’s the complete rundown of the young Badgers after the first 11 games.